The H.H. Franklin Center for Supply Chain Management at the Whitman School is collaborating with Staples, Inc., in a first-of-its-kind relationship to bring innovation and new research to the supply chain field. The collaboration will allow Whitman School supply chain faculty and students to analyze two initiatives. In the first project, Whitman faculty and students will analyze fulfillment operations and make recommendations regarding how Staples can further improve its inventory and distribution decisions. “Staples already has an excellent distribution system, with the capability to deliver next day to 96 percent of the United States’ population,” said Burak Kazaz, executive director of the center, a Laura J. and L. Douglas Meredith Professor of Teaching Excellence and associate professor of supply chain. Whitman faculty and students will analyze big data on customer orders and make adjustments in inventory deployment decisions to create further efficiencies. “Improving supply chain operations in an already highly effective system is a daunting task,” Kazaz says. In the second project, Whitman faculty and students are developing a new risk assessment methodology in order to assess the risk exposure in the entire Staples supply chain. The work brings out a new perspective in supply chain risk management. The end result of both projects will be presented to senior Staples leadership at the end of the engagement. 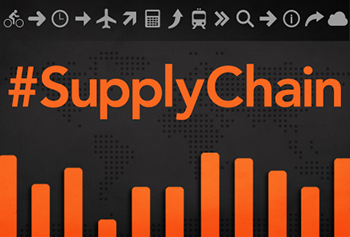 The Whitman School is home to the nation’s first supply chain management program (SCM). A specialization in traffic and transportation was first offered in 1919, when the School of Management was founded. Currently, the SCM program offers rigorous Ph.D., M.B.A., M.S. and B.S. degrees, as well as executive education. Whitman’s award-winning SCM faculty is renowned for teaching, research and outreach partnerships. The program has evolved into one of national prominence, with recent rankings by leading organizations and media including Gartner (2014 and 2011), U.S. News & World Report (2012) and Bloomberg Business Week (2011).